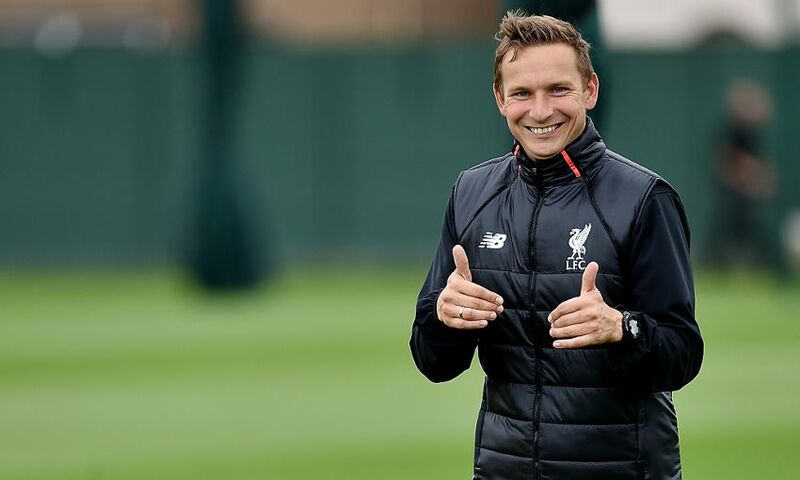 Academy youngster Paulo Alves has spoken of his admiration and respect for Pepijn Lijnders, heralding the Dutch coach for playing a major role in his journey to Liverpool. Before arriving at the Kirkby Academy in the summer of 2015, the Portugal midfielder spent seven years in FC Porto's youth setup, working alongside the enthusiastic Lijnders. The pair have since linked up again on Merseyside, and to good effect on the evidence of Alves' recent promotion to the senior squad for an FA Cup third-round replay at Plymouth Argyle. As such, the 19-year-old is keen to express gratitude toward a man he believes has done more for his development than any other. Speaking to LFCTV's 'Academy Show', Alves said: "I played for seven years at Porto's academy and Pep was the person and the coach that helped me the most in my career. "He coached me for three years at Porto and he taught me a lot of things and gave me good advice. "He is also a very good person and a very good coach and is somebody who has always been there for me. "I will work even harder to make the bench again and try to make my debut one day for Liverpool. That is my dream." Alves, a regular member of the U23s squad, also spoke of his pride at getting the opportunity to train at Melwood this season, and the inspiration he takes from Philippe Coutinho. He added: "I know I have to work hard and keep improving in every training session and every game I play. "Training at Melwood with the best players in the world is an amazing experience. "Lucas, Philippe Coutinho and Roberto Firmino always talk to me. Watching Coutinho in training, it gives me joy to see the way he plays." You can watch Liverpool U23s take on West Bromwich Albion in the Premier League Cup exclusively live on LFCTV and LFCTV GO on Tuesday night, from 6.30pm GMT.